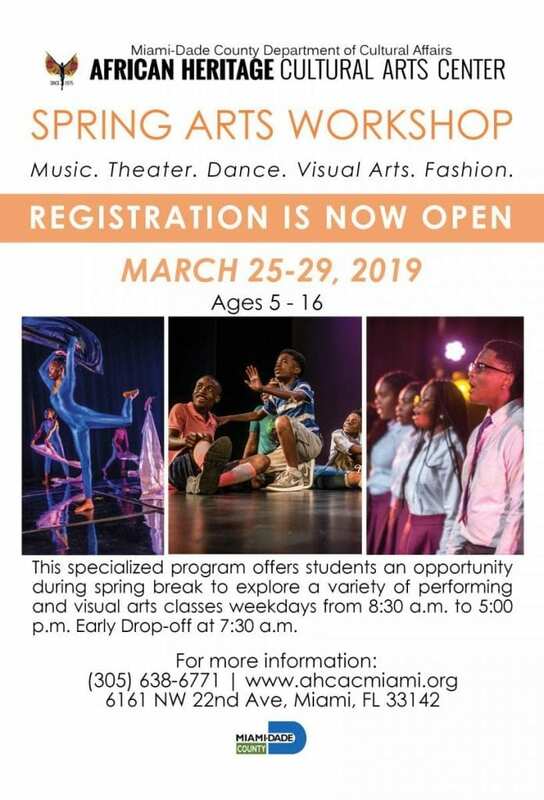 Enrollment is now open for the African Heritage Cultural Arts Center’s(AHCAC) 2018 Spring Arts Workshop for youth ages 5 – 16, offered during Miami-Dade County Public School’s spring break, March 25 – 29, 2019. The annual arts education program includes music, dance, drama, and visual arts classes taught by professional instructors at the AHCAC, located at 6161 NW 22nd Avenue, Miami, FL 33142 – the intersection of Moonlight Way and MLK Blvd. Classes are taught in a creative and secure environment, weekdays from 8:30 a.m. to 5:00 p.m. Early drop off begins at 7:30 a.m. with last pickup at 6:00 p.m. The tuition for the AHCAC’s 2019 Spring Arts Workshop is $50.00 for the entire one-week session. A $12.00 registration fee is required which also gives students an option to enroll in other arts programs offered at the Center. 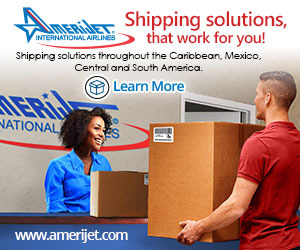 Call (305) 638-6771 for enrollment forms and information. Business hours are Monday – Friday, 8:30 a.m. – 6:00 p.m. For more information about the Center, please visit www.ahcacmiami.org. Follow us on social media @ahcacmiami and #AHCAC. The African Heritage Cultural Arts Center is a premier arts training institution in Liberty City, nationally-recognized for developing hundreds of outstanding artists in all arts disciplines over the last thirty-three years. Known as the artistic home of alumnus Tarell Alvin McCraney, co-creator of the award-winning movie “Moonlight,” the Center’s other distinguished alumni include Robert Battle, Artistic Director of the Alvin Ailey American Dance Theater; Keenan D. Washington andFergie L. Philippe, US Tour cast members of “Hamilton” the musical; Bianca Brewton, professional dancer (Beyoncé, Bruno Mars, and Janet Jackson); Shareef Clayton, Grammy-nominated jazz trumpeter (Arturo Sandoval and Stevie Wonder); and tap dancer Marshall Davis, Jr., associate choreographer of the Tony-nominated play, Shuffle Along.